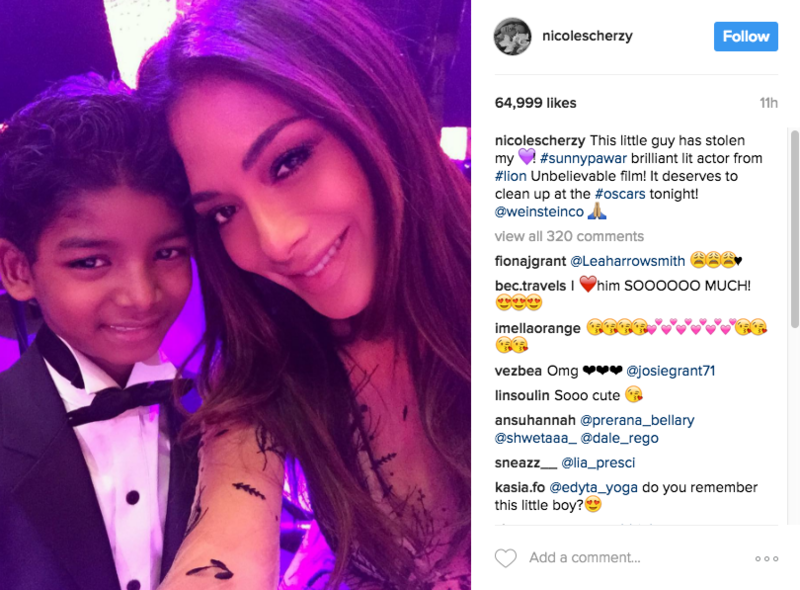 Drizzling skies and chilly temperatures descended on Los Angeles just in time for the Oscars Sunday. 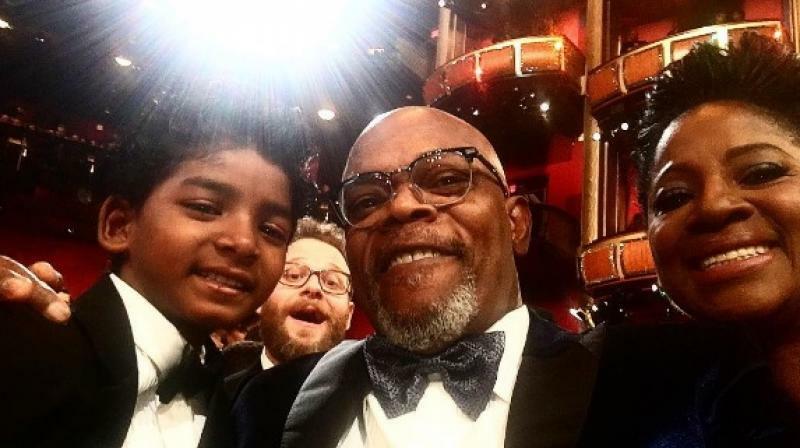 But on the red carpet, everything was Sunny! 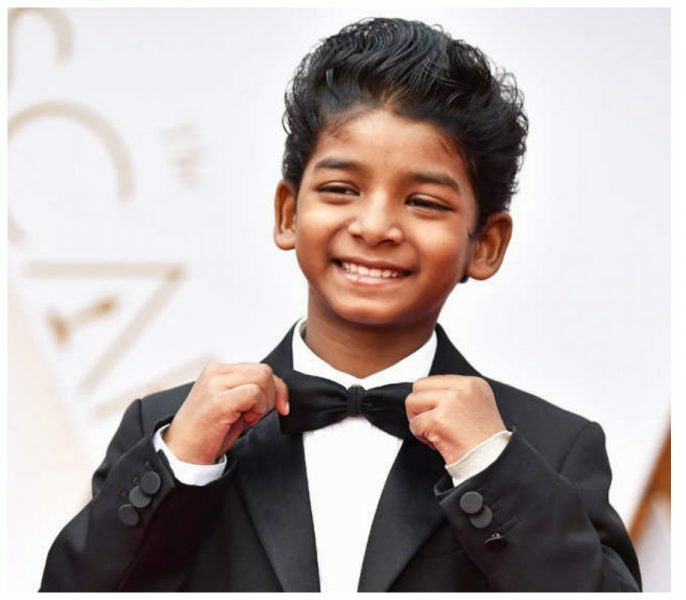 Lion‘s pint-sized star Sunny Pawar has been a delight all awards season, walking the red carpet in perfectly tiny tuxes. 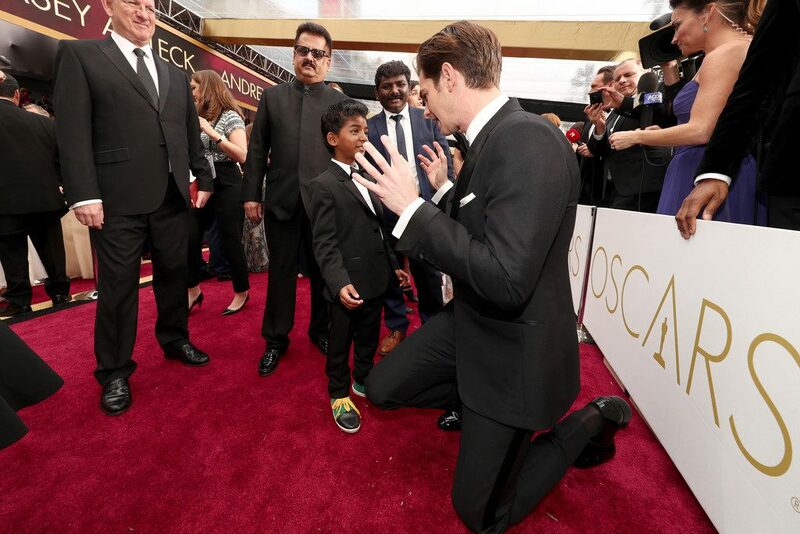 As if his Oscars bow tie wasn’t adorable enough, the 8-year-old paired his suit with green-and-yellow sneakers. And a slicked back Elvis hairdo. 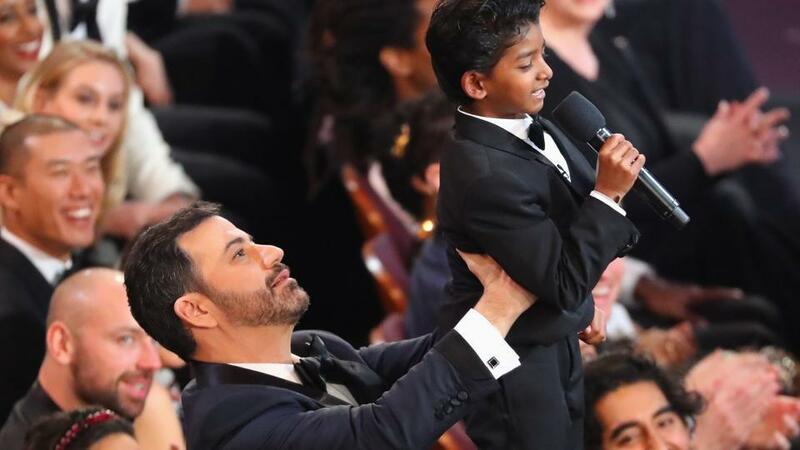 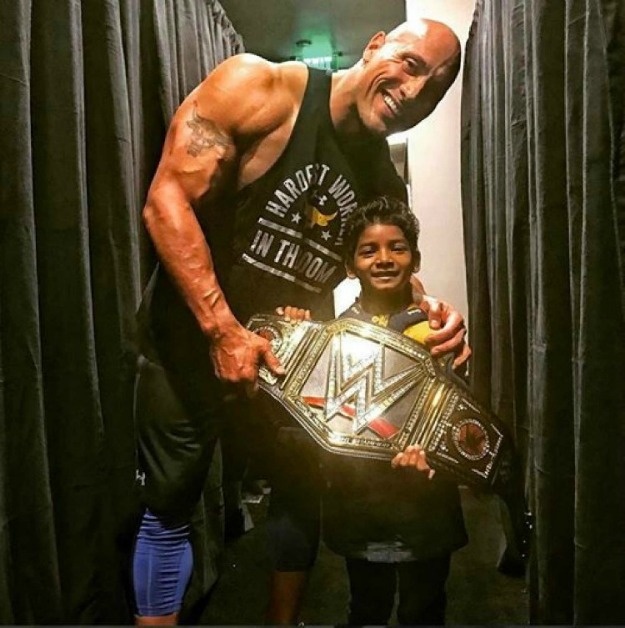 While Jimmy Kimmel wisely enlisted the young actor to help him with a skit during the ceremony that included recreating the famous Lion King scene with Pawar as Simba and ended with candy falling from the ceiling, Pawar needed no help in winning over the hearts of Hollywood’s elite. 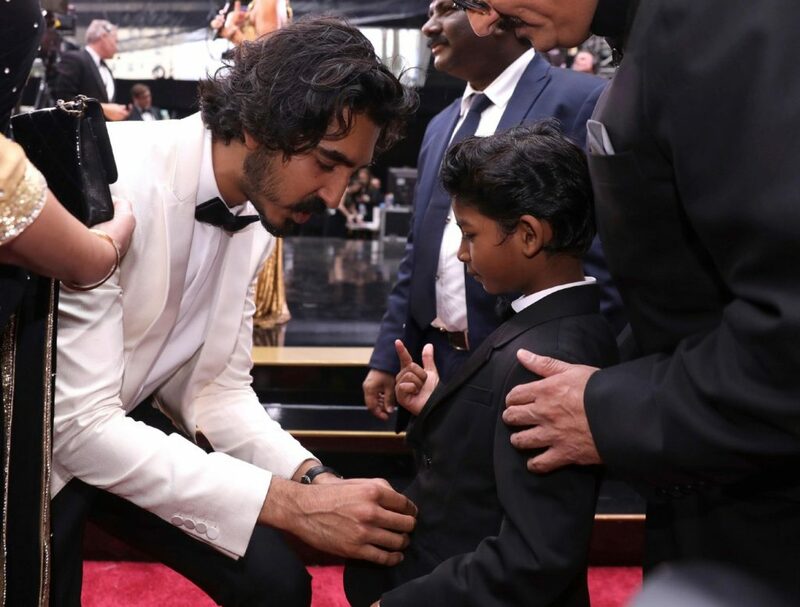 On the red carpet, Pawar met awards show hero Chrissy Teigen, who fulfilled her dream of finally meeting little Sunny after seeing him in Lion.